I am trying to sync a 60GB mailbox on Outlook for Mac v15 over a VPN connection. Sometimes the VPN drops out and the sync is interrupted. When I come back to it and check the Sync Status window, it shows nothing, ie sync is complete and the main windows status bar says all folders are up to date. When I look at the Identity/Profile folder where the data is stored, the size does not reflect at all what the Exchange server is reporting. If I come back later and try again, it might start syncing folders again and the status windows shows for example 1/2000 in a given folder are syncing. How can I get force Outlook for Mac to get on with the sync and complete it instead of these dribs and drabs? Every sync is a full one, so there’s no “force” option. Two things I might try are resetting the local cache (which will purge all the downloads that happened so far) and verifying you don’t have download headers checked. Your main mailboxes sync by default and your shared mailboxes do not sync, so opt in to sync those if you have any and need them local as well. The built in help and support would be my next suggestion if clearing the cache and toggling the Download / Sync and then saving prefs and then toggling again with a sync / check. If you don’t have sync errors and see sync progress (Command 7 and Command 8 menu items), then the issue isn’t on your end, it’s on the server end and you’ll need your exchange admin / help system to engage there. Is there a good Hotmail client for Mac OS X? 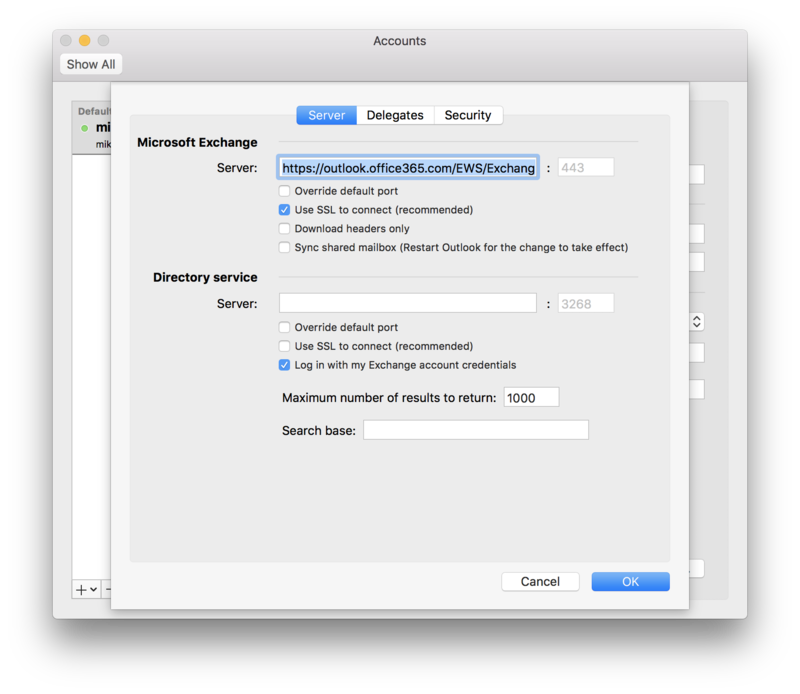 How do I sync MobileMe with Outlook 2011? Parallels 8 - will iPhone sync with OS X side and VM side?